The global intelligent building automation technologies market was valued at USD 61.2 billion in 2017 and is anticipated to grow at a CAGR of 7.7% during the forecast period. The intelligent building automation is a technology that assists in the optimization of the usage of energy and its operating expenditure. It enables the user to monitor and analyze the performance of a building in terms of productivity, comfort, and sustainability. Additionally, it offers other applications such as managing air conditioning and heat ventilation, lighting management, analyzing building data, automated demand response and fault detection, and micro-grid management. The growing need for energy efficiency, increasing energy costs, and rising use of renewable energy sources drive the growth of the intelligent building automation market. There has been increasing awareness among consumers regarding environmental protection, which further supports market growth. Stringent government regulations regarding energy use, and reduction in operation costs also boost the adoption of Intelligent Building Automation Technologies. The growing focus on controlling carbon dioxide emissions, and controlling expenditure on operations and infrastructure boosts the intelligent building automation market growth. The market is also influenced by the rising requirement for improved security and safety in smart buildings. A high initial investment along with lack of awareness may hinder this growth during the forecast period. The rising demand from commercial, residential and industrial segments with the rise of the internet of things and advancing automotive technologies is expected to offer growth opportunities during the forecast period. 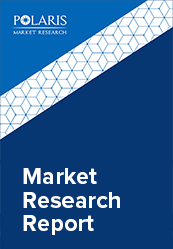 The global intelligent building automation technologies market is segmented on the basis of type, end-user, and region. Based on type, the market is segmented into Security Systems, Life Safety Systems, Facility Management Systems, Building Energy Management Systems, and others. In 2017, facility management segment accounted for the highest share in the global market. The increasing need to improve performance and efficiency of the lighting and HVAC systems drives the growth of this segment. On the basis of end-user, the market is segmented into Residential Buildings, Commercial Buildings, Manufacturing Facilities, Public Infrastructure, and others. In 2017, the commercial buildings dominated the global IBAT market owing to rising need to improve building efficiency, reduce operation costs, and stringent regulations regarding energy consumption. Regionally, the intelligent building automation technologies market is distributed across North America, Europe, APAC and Latin America, and MEA. North America is further segmented into U.S., Canada, and Mexico. Europe is divided into Germany, UK, Italy, France, and Rest of Europe. Asia-Pacific is bifurcated into China, India, Japan, and Rest of Asia-Pacific. North America accounted for the largest share in the Global Intelligent Building Automation Technologies market in 2017. The increasing awareness among consumers, and rising environmental concerns drive the market growth in the region. 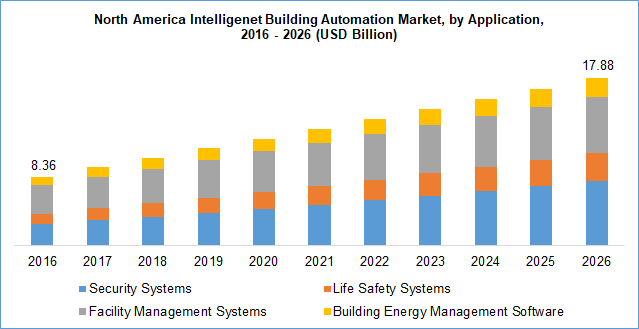 The leading players in the intelligent building automation technologies market include Siemens Building Technologies Inc., General Electric, Johnson Controls Inc, ABB Ltd., Eaton Corporation, Rockwell Automation, Ingersoll Rand Inc., Schneider Electric, Honeywell International, and Delta Controls. These leading players in the market are introducing innovative products in the market to cater to the consumers. Global players are entering new markets in developing regions to expand their customer base and strengthen market presence.